Villa Ambra is set in the most desirable location on the beautiful hills in the heart of Tuscany. 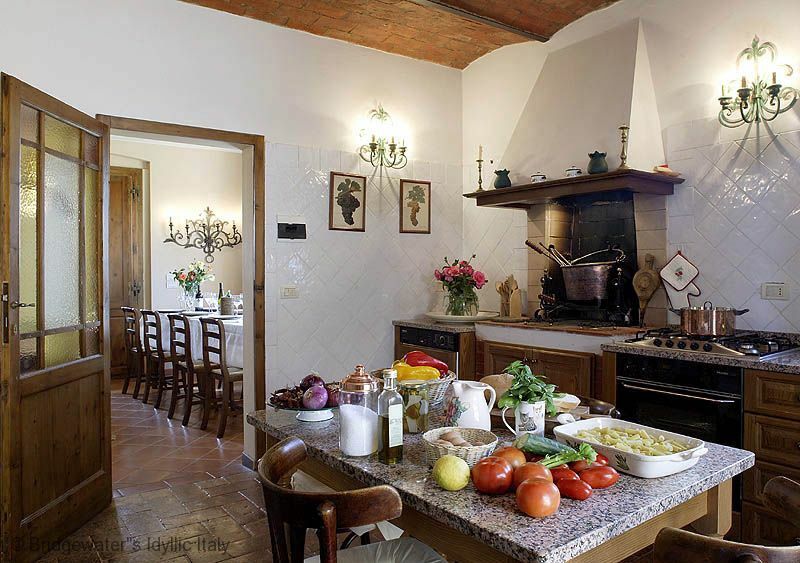 Located between Siena (25 Km) and Arezzo (35 km) Villa Ambra is just in the right centre of the region. The villa sleeps up to 8 people, in 4 double bedrooms with en-suite bathrooms. It was wonderfully renovated a few years ago with every possible modern convenience. Villa Ambra is part of a large estate surrounded by olive groves, vineyards and oak woods. Panoramic infinity pool, air-con, wifi, patios, BBQ, pizza oven and sauna. Tennis courts only 800 metres from the villa, table tennis at the villa. Daily Breakfast is included in the rental; a classic Italian breakfast prepared and served every day but Thursday. We are also pleased to offer our guests wine tasting at Felsina Wine Estate at no extra cost. From this charming villa it is possible to easy to reach Florence (55 Km North) and the Chianti area and spend the day tasting delicious wines in some of the worldwide renowned Wine Estates, or to go towards South and enjoy the unique landscapes of Le Crete Senesi or the Val d’Orcia - Pienza, Montalcino and Montepulciano. Villa Ambra is on the "Strada del vino Terre di Arezzo" (the wine route). Wonderfully renovated farmhouse with all modern conveniences, Villa Ambra is part of a large estate surrounded by olive groves, vineyards and oak wood. Even though the owner’s house is on the same estate (1km away from Villa Ambra), the house is totally private and very quiet. An unpaved private road connects the villa to the main road - not suitable for low slung cars. Villa Ambra has a well kept and fenced garde full of flowers, olive trees and it is equipped with different relaxing areas, a large patio with a real pizza oven and BBQ, a perfect place for al fresco dinners in summer. A few steps lead to the pool ground. Amazing infinity swimming pool (16x5 meters) open from 12 May to 29 September. The pool area is equipped with lounge chairs, pillows and a very comfortable futon in the shade. Just next to the pool area there is the Sauna room with and extra bathroom with shower. Villa Ambra consists of a main house and a large dependence. All 4 bedrooms have air conditioning. 200 sq metres, developed on two levels. 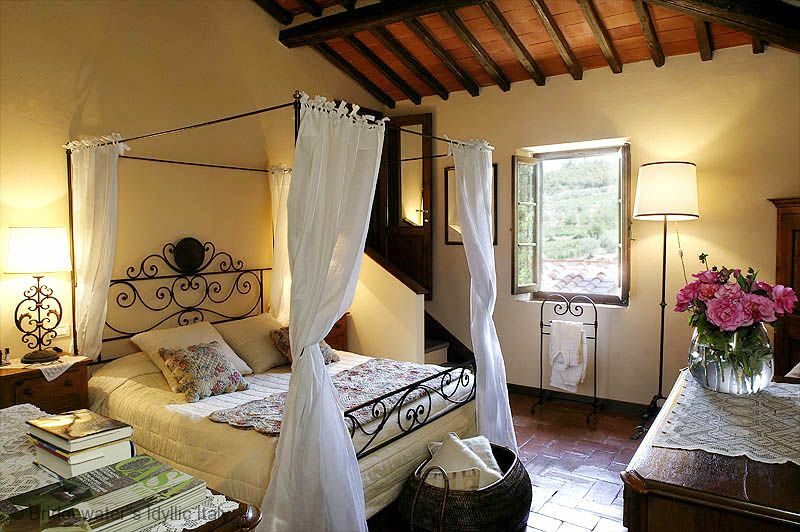 Personally furnished by the owner, it is a perfect place to enjoy an authentic experience in the Tuscan countryside! Refined with cotto tiles and beamed ceilings. The ground floor consists of a charming large living room with a fireplace and TV area (SAT TV). Each room on this floor has direct access to the garden. The dining room has a long wooden table in front of a large window with beautiful views onto the garden. Next to the dining room there is a fully equipped kitchen. Fireplace, fridge, freezer, washing machine, microwave, toaster, oven, gas range (5 burners), double sink, Lavazza Espresso machine, dishwasher. A stone staircase (13 Steps) leads to the first floor. On this floor there are 3 cozy air conditioned bedrooms with en suite bathrooms. One double bedroom with ensuite bathroom with bathtub (hand held shower). A second double bedroom with en suite bathroom with shower. A third double bedroom with en suite bathroom with bathtub, separate shower and double marble sink. This bedroom also has a safe and a large walk-in closet. All the bedrooms are very nicely furnished with antique wooden furniture, floors with cotto tiles and beamed ceilings. Only in one of the three bedrooms, the bed can be converted into twin beds. Baby bed available. Next to the main house there is a large dependence of 150 Sq metres which consists of a bright and spacious living room with fireplace, large windows and a comfortable red sofa. TV, stereo and lounge chairs. Kitchen corner with refrigerator and electric range. The dependence also features a double bedroom with a large ensuite pink marble bathroom with shower. Included in the rental price 3 hours of housekeeping on Monday and Wednesday and Saturday for rentals longer than a week; bed and bath linens changed each Wednesday and Saturday for rentals longer than a week; pool cleaning. Hairdryer in each bathroom. Iron and Ironing board. A cell phone with prepaid card is available. Price includes wine tasting at local Wine Estate. Optional cook service (upon request) with a selection of different local menus. All is cooked in the house with local ingredients and fresh vegetables from our gardens by a fantastic cook who has worked at the hosue for many years. Heating metered; utility deposit for Heating Euro 250 per week upon arrival. The nearest small village is Ambra at only 7km. In Ambra it is possible to find few shops, a post office, a pharmacy, restaurants and bars. Activities in the area: horse riding, polo club, wine tasting.